The state of New Hampshire offers a number of benefits and perks for those Americans who have either served in an Armed Forces branch in the past, or are current active military members. No registration fee is payable for a vehicle provided by the U.S. Department of Veterans’ Affairs to an amputee, paraplegic or blind veteran classified as being permanently and totally disabled from service connection. Any motor vehicle bearing special disabled veteran license plates shall be allowed free parking time in any city or town if the vehicle is under the direct control of the owner. 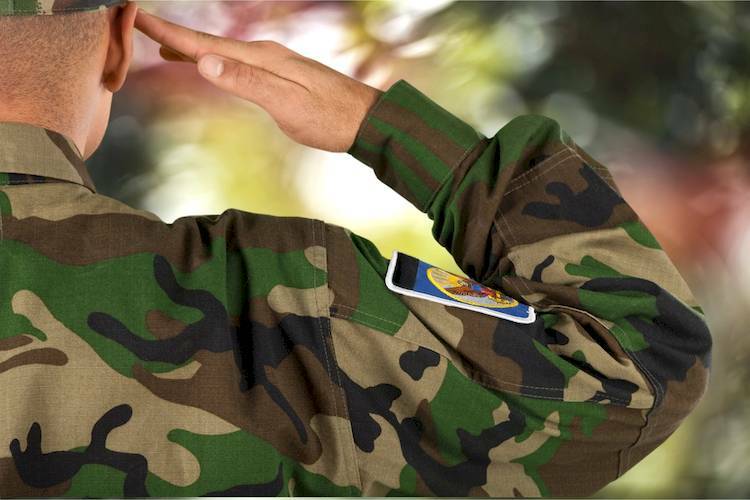 New Hampshire veterans may display proof of their military service on their driver license or CDL license or non-driver ID card for purposes of identification for receiving benefits and services under New Hampshire law. In order to obtain a Veteran Indicator, fill out the appropriate forms for your driver license or non-driver ID and present the documents at any DMV location across the state. You must include proof of your honorable discharge at the same time. If you are renewing at this time, there is an additional charge; however, if you are not renewing but simply wish to add the designation, there is a $3.00 replacement license fee. New Hampshire offers several distinguished military honor license plates commemorating the different military branches. Eligibility for each of these plates requires certain criteria be met, including proof of current or past military service (honorable discharge), or discharge papers or U.S. Department of Veterans’ Affairs documentation of the award received. All of the above types of plates are considered vanity plates, and as such you will be required to complete the Vanity Plate Search before you can request a particular plate. There are strict laws around vanity plates, including limitations on language, length of the characters, and other racial and ethnic limitations. The full list of limitations is available here. Costs of these vanity plates include a $40 per year vanity plate fee, plus a one-time $8 plate fee. However, veterans who are former Prisoners of War (POWs) may qualify for a special free license plate. Any individual who is a member of the U.S. Armed Forces and who, at the time they entered service, was in the armed forces for two or more years and a resident of the state of New Hampshire at the time of their induction is eligible to renew their driver’s license at no cost. Members of the military and their spouses who are currently deployed or stationed out of state are able to receive an unlimited number of replacement licenses when requested by mail. There are thirty (30) days of grace permitted once you return to New Hampshire to obtain a DMV office and update your license information. Military personnel only are also exempted from the vision test as well as the renewal fee; while military spouses are liable for both of those requirements. Forms required include the Application for Driver’s License and the Armed Forces Affidavit of Residency. List all driving offenses within the last two years for both civilian and military licenses. Applicants are not allowed to have any major driving offenses, including alcohol-related offenses, on their record for the previous two years in order to obtain eligibility within the program. The DMV reserves the right to disqualify applicants based on information gained throughout the process of application at any DMV location. The Troops to Trucks program was created to help members of the military and recent veterans obtain a CDL (commercial driver license) by allowing them to utilize their military experience and training. Eligible veterans who have received training in heavy vehicles can apply for a waiver of the CDL road test as the first step in obtaining their New Hampshire CDL, after passing the written exam. Active or veteran military personnel who wish to find out more about veteran and military driver laws and benefits in New Hampshire can consult the state’s motor vehicle division website here.